Turn-Key Take-Out/Dine-in Pizza Facility at a Steal of a Price! 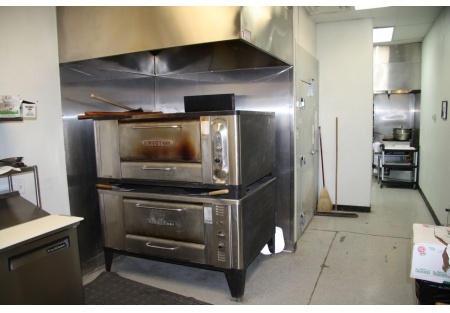 This is a turn-key restaurant with a hood system for cooking as well as a hood system for pizza. Add pasta to the menu and you're business will take-off. Create a value menu and watch the customers come in for lunch from the nearby hospital and major hotel and at night you can draw from the upper class neighborhoods in the area. You can't find a turn-key business at this price!!! So move quickly! This restaurant is on an end-cap unit in an upscale east valley location severing both Gilbert and Mesa residence. Take a look at the demographics, they're strong! There are 1,500 Sq. Ft. with 2 ADA restrooms (buyer should verify this with an expert) plus room outside for seatling as well. The owners are motivated to sell this fast and it is price. So if you know the pizza business, then this restaurant is right for you and at a great price! Revenues are about $11,000-$15,000 a month and growing. The pizza and sandwiches are great and the sales improvement shows it. It is too bad that partnership issues force the sale of this store because the trend is their friend and the product, that is great, will be missed. Low Rent & Getting Lower!